Blog | When Is It Time for Lock Replacement? Given that most homes and offices nowadays use a set of security measures which typically include a security alarm system, the focus is often shifted away from door locks. This is a mistake, however, as they are the primary security devices on any property. You have to ensure that they work properly and reliably at all times. In order to achieve this, you have to know when to replace the old devices with new ones which will perform as required. If you have just moved into a new house, you should opt for lock replacement right away. While the previous owners will most certainly not pose any kind of threat, they may have given keys to service providers and other people that you do not know. In order to protect your new home effectively, you should go for the change without delay. It is mandatory to go for lock change if burglars or vandals have broken into your home or office. In most cases, the forced entry through a door or window causes serious damage to the locking device and it can no longer function properly. In general, you should review the security of your place after a burglar or vandal attack and figure out what improvements can be made. You can readily have all devices replaced with new ones which are more advanced. Lock replacement is the best protective measure in case of stolen or lost house keys or office keys. The change must be made immediately. This is crucial for protecting the property. Even though the situation is urgent, you have to ensure that you will get new devices of high quality which offer at least the same level of security as the previous ones. Worn-out door locksets have to be changed timely. It is not hard to notice the signs of wear and tear. Thin layers of tarnish and rust can readily be removed, but when corrosion has weakened the metal, the replacement of the device is the best option. If the existing device has dull or deformed components or there are cuts and dents, you will need a new one. If unlocking is becoming ever harder especially during the cold winter months, the device must be checked and fix. 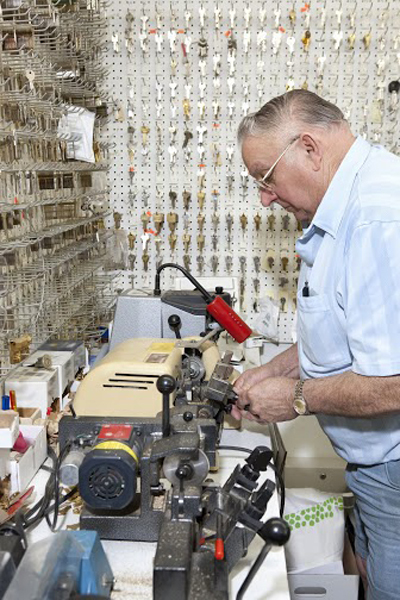 If lock repair will simply not work due to excessive internal damage or serious malfunctioning, replacement will resolve the problem completely. You should not procrastinate when it comes to replacing a locking device as this is extremely important for the safety and security of people and property.